A genuine multi-defence treatment, DERMFORCE reinforces the skin's immune system and protects it from external aggressions. Day after day, the skin is ideally protected. It is Stimulated to more effectively resist the sign of fatigue. 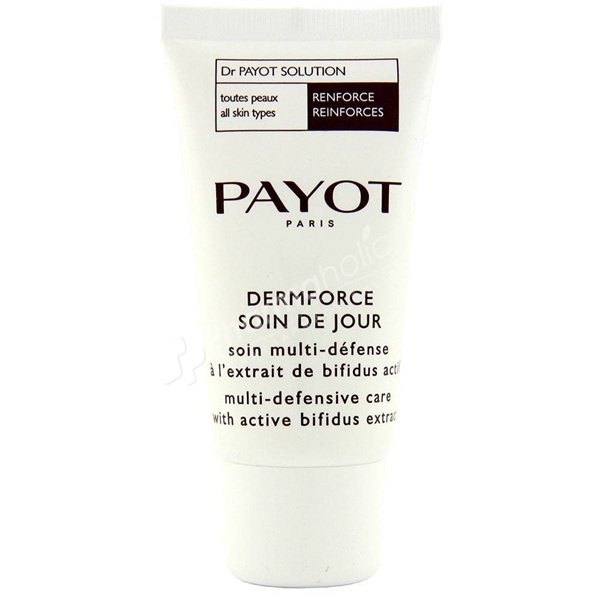 A genuine multi-defence treatment, DERMFORCE reinforces the skin's immune system and protects it from external aggressions. Day after day, the skin is ideally protected. It is Stimulated to more effectively resist the sign of fatigue. The active bifidus extract protects and reinforces the skin's immune system. Omega 3 and 6 promote proper skin functions. A vitamin complex hydrates and maintains a radiant complexion. Hypoallergenic formula. Fragrance free.Colorant free. Morning and / or night all over the face, neck and decollete.